If you are new to the world of web development, designing our website can be challenging task. In order to begin with the process of web designing get acquainted with the basic of web designing at first, you can take help from a freelance web designer too. As you start learning gradually it will grab your interest. Design is not just about how good the website looks, besides that design has a number utilities. It helps in search engine optimization, user friendly navigation, etc. Following are some of the basic points you should keep in mind before finalizing your web design. Analysis- Understanding the business requirement is very important to determine the objective of business. A proper analysis should be conducted to understand what purpose the website will serve- informative, promotional, ecommerce, etc. Other factors which should be considered are- age group of visitors, gender, background of visitors (students, professionals, educators, etc). Analyzing all these factors will help you build a web design that’s appropriate for your target audiences. Use of colour- Color plays a pivotal role in web designing, specific color set are used for different type of website, for example, subtle and light colors are recommended for corporate websites, whereas vibrant colors goes well with fashion websites. 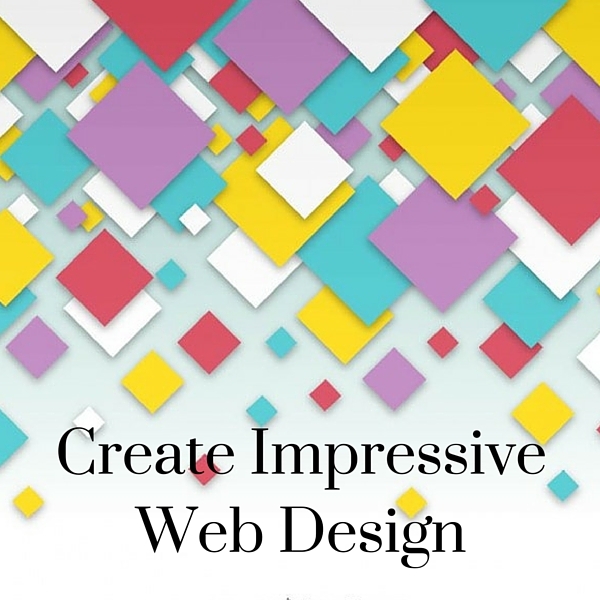 Create Impressive Web DesignCertain colors are suitable for certain moods, age, and gender, hence before choosing the dominant color of your site, consult with a freelance web designer, they know better what color will appeal more to the target audiences. Also limit the use of colors, a website should not have more than 2 or 3 colors; otherwise the site may lose its appeal and may look unpleasing to the eyes. Text contrast- One needs to be able to read the text you put on your website, easy readable content attracts viewers and hence maintaining a balanced contrast between the text and background will help to read the text without much trouble. Use a suitable font and font size, which goes well with the website nature and also remains comfortable for the users to read. Logo- Logo is an important part of branding, people recognize companies by its logo, hence spend adequate time in determining the color and shape of the logo. A logo can be letter based, image based, etc, make sure it goes well with your business purpose. Original theme- No doubt you can find a number of free or premium themes at various websites, but it is always advisable to invest in original theme. Ask the freelance web designer to build an original theme as it has a lot of advantages; for example, you can manipulate the codes anytime, add new features, change layouts, grids, etc. Downloaded themes have some limitations you have to oblige by the theme structure. An original theme doesn’t have any limitation you can moderate according to your business needs from time to time. Follow design trends- Everyday web developers and designers are conceptualizing new and better ideas for web design, by following the trend of designing you will come to know about the popular features or tools that will add a modern touch to your website. Become a part of web forums where you can ask a question or suggestion from fellow web designers. Subscribe to popular design blogs to get daily news and keep yourself updated with all the design trends. Hire a freelance web designer- After analyzing your business requirements, it’s time to look for freelance web developer, why choose a freelancer, because unlike a company a freelancer will take much time to understand your project and put in his best efforts to create eye-popping design for your website.